Brexit is sending shockwaves throughout the business community; Airbus has publicly branded the government ‘a disgrace’. The prospect of a no-deal or hostile Brexit will undoubtedly bring some severe implications to the way businesses conduct themselves in this country and probably damage our economy too, at least in the short term. It might be expected that faced with such uncertainty, businesses would be wary of new investments. Except for JCB. The Staffordshire based company – a huge British success story – has recently invested £10,000 in, erm, Boris Johnson and another £60,000 in the services of…wait for it….David Davis. 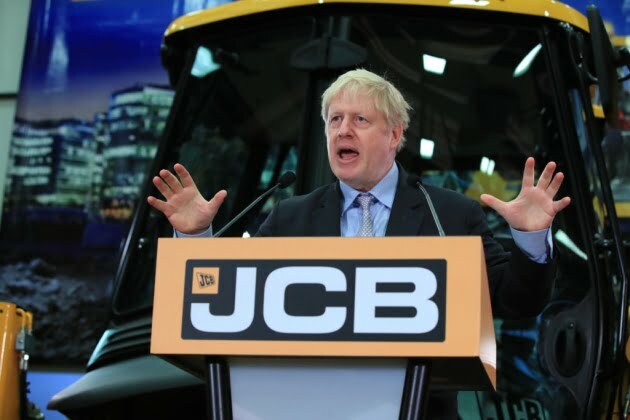 “As JCB has demonstrated there is absolutely nothing — no bureaucratic prejudice or impediment — that has been able to stop a British-made backhoe loader from roaring on to building sites around the world and thereby creating thousands of jobs in this country”. His speech has been widely received as a Conservative leadership bid. David Davis stands in line to receive £60,000 for a 20 hour per year (yes, per year!) post with the company. Whilst he may work more than that in practice, his salary equates to £3000 per hour of work. Or to put it another way, 383 times more than the National Minimum Wage. I mentioned that JCB is a Great British Success story. That’s true! Since its foundation in 1945 manufacturing farm trailers from war-surplus materials, the company has grown to manufacture over 300 products, employ over 11,000 workers and sell diggers in almost every country in the world. With a revenue of over £2 billion, they are a valuable asset to Brexiteers who point to the company as an example of business embracing Brexit. JCB’s founder Anthony Bamford even gifted £100,000 to Vote Leave during the referendum.